Ants demonstrate unbelievable potential. They live in huge integrated colonies. They have the capacity of lifting weights that are many times the weight of their body. Their activities are coordinated with extreme perfection, in the most precise manner. However, their several activities are alarming, which make them enemies to mankind.. Maybe it is high time to check out on the activities of these creatures from a broader perspective. It is imperative that you have knowledge of your foes in order to deal with them. 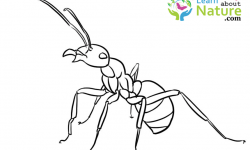 Ants are eusocial (living in a cooperative group) creatures that belong to the Formicidae family Together with their counterparts, such as bees and wasps; they are of the Hymenoptera order. 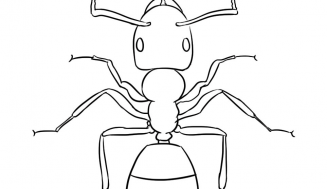 In the society of ants, they have a perfectly divided labor system. They communicate with each other, and, at the same time, are capable of resolving complicated situations. These insects go hand in hand with the human civilizations and they have always been a motivation for people researching on them. 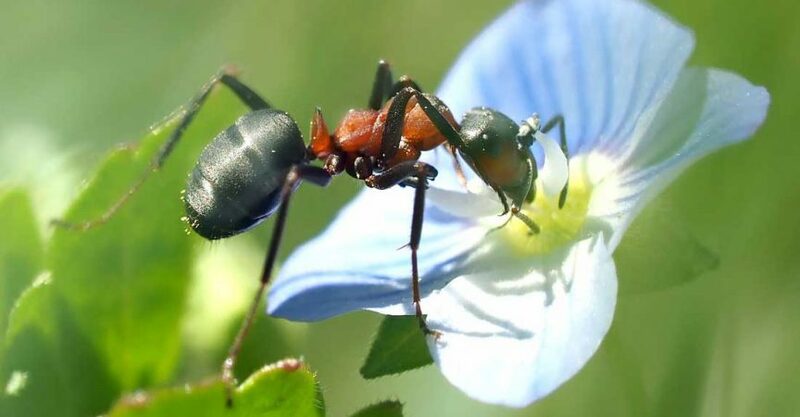 The cooperation and communication of the ants take place with the help of a chemical called pheromones that signals others of forthcoming danger, or directs them to a hopeful source of food..
Ants are skeletal type insects. 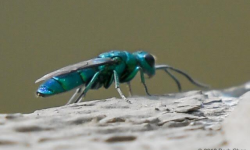 Similar to wasps, their cousins, there is a thin joint between their thorax and abdomen. 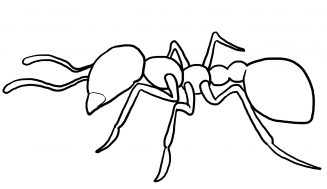 Most ants vary in size between 5 – 15 mm in length. Ants are categorized by biologists as an exclusive family of wasps (Hymenoptera, Formicidae). In every colony of ant there is either a single or number of queens. The Queen or Queens represent the head of the society of ants, the main duty of the queen ant being to lay thousands of eggs, which guarantee the continued existence of the colony. 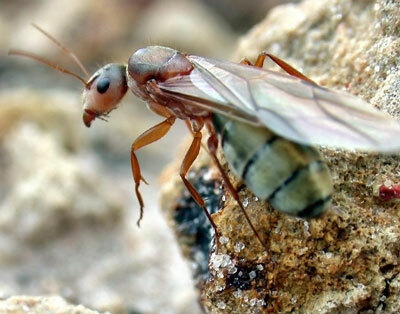 The wingless females or worker ants do not reproduce Other than foraging for food, they take care of the queen’s off springs, give protection for their community, do work on the nest and go about several other duties. The only duty of the male is to mate with the queen. Following this function they are liable to die. Scientists from Florida and Harvard state university jointly performed a massive genetic research in 19 out of the 20 subgroups of ants and concluded that the evolution of ants took place from Wasps during the middle of the Cretaceous era, ranging from 110 to 130 million years back. Following the emergence of the flowering plants, they became distinct. Out of the 22.000 species over 12,500 were classified. Their elbow shaped antennae and the nodal figure that generates their slim waist are clear signs of recognizing them. Similar to other insects, ants’ posses’ six legs, with three joints on every leg. 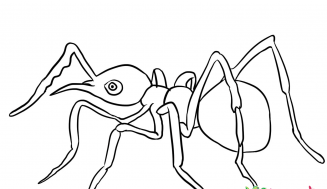 The ants have very strong legs so they are able to run very fast. Ants are able to lift material 20 times its body weight and in terms of comparison between body weight and lifted weights, it may be the strongest in the animal kingdom. There are 250 000 brain cells in the brain of an ant. Whereas there are 10,000 million brain cells in that of a human, which means a colony of 40,000 ants together equals the brain of a human being. The life span of an ant is around 45-60 days. Most of the ants keep a stock of food in their nests, particularly the ants that consume the seeds. Several other ants consume the fungus growing in their nests. 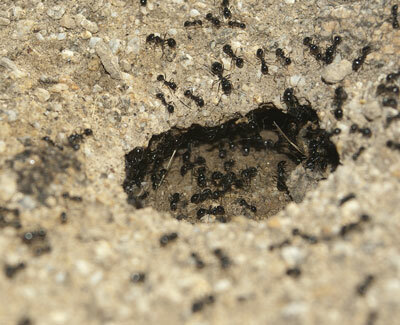 If the ants locate a great source of food, they leave a trail of chemical for their nest mates to trace the food. Immediately a column of busy ants descends on the food and you can see them shuttling to and fro from the nest to the source. Besides a sense of touch, the antennae of the ants are also used to sense smell. There is a pair of big and strong jaws within the head of the ants that open and close sideways similar to the scissors. It is not possible for the grown up ants to chew as well as swallow foods that are solid. As such, they gulp the juice obtained by squeezing the food item and then discarding the dry portions that remain. Ants have compound eyes, which means, their two eyes comprise of several smaller eyes in each eye. There are two stomachs in the abdomen of the ants. In one stomach, they have food for themselves and food in the other stomach is for sharing with other ants in their colony. Similar to the other insects, the external portion of the ant body is enclosed with an armor-like hard shell that is referred to as the exoskeleton. 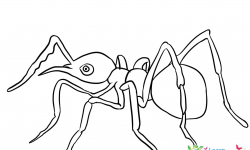 There are four clear stages of growth for the ants, the egg, larva, pupa and the adult. The ants go through a process of total metamorphosis. The queen ants lays the eggs. The ants dwell in colonies and in a colony, you can find one or more female ants that lay all the eggs and they are called The Queens. The majority of the offsprings of the queens turns as worker ants that never reproduce. Some of them are males and the rest turn out as new queens. Every year a queen ant lays thousands of eggs. When a new queen gets a nice area for making its nest, she makes a tiny cavity and lays few eggs. On hatching the eggs, she searches for food, feeds them and nurtures them until they are grown up. They then turn out as workers and take the burden of doing every work that is necessary for the nest. The only job of the queen is to lay eggs. The little ant which hatches and emerges from the egg is called larva and these larvae do not have legs, only a soft body, white in color with a head similar to a worm. The queen feeds the larvae in the beginning, and thereafter the workers take over this responsibility.. The decisive factor of becoming a queen or a worker, and growing to a particular size, is the type and quantity of food a larva gets to eat. Each larva grows, melts and ultimately spins a tiny cocoon of silk and gets transformed into a pupa. This stage of the pupa is the time for resting, when it neither takes food nor makes any movement, but completes its process of transformation to a mature ant. This freshly formed mature ant that comes out of the cocoon involves headlong into the working of the nest. 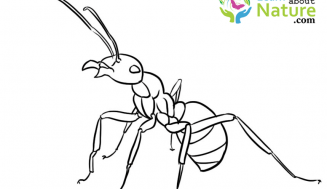 The queen ant’s sole occupation is to lay eggs that are looked after by the worker ants that are germ free, They hunt for food, nurture the young ants and protect the nest from unwelcome guests. Ants are insects that are spick and span and dirt free. Certain worker ants are entrusted with the duty of collecting the dirt from the nest and dumping them externally in a particular dust bin! Every ant colony has a specific smell. This is a method of identifying an intruder on the spot. Several ants like the usual Red variety possess a sting; they make use of this sting to protect their nest. When it turns dark, the worker ants shift the larvae and the eggs far below into the nest to shield them from the chill. And when it turns day, the worker ants further shift the larva and eggs within the colony to the nest tops for giving them warmth. Army ants are roamers, all the time they keep moving. They are found carrying their larva and eggs along with them in a lengthy line. The activity time of the ants depends on the species they belong to, Majority of them are active during the night time, few during the day time, and the worker ants keep active within the nest so long as it is sufficiently warm: Their duty consists of developing the nest, gathering food, nurturing the young ants, discarding the rubbish, and safeguarding the nest against parasites and predators. The way ants transport food is by swallowing the food, retaining them in a different stomach and further distributing them among the rest in the nest. The Cretaceous-Paleogene extinction program happened almost 65 million of years back, and a collective collision incident followed that, In a broad sense, the experts attributed this as the reason for the collapse of the dinosaurs (and by coincidence, the growth of mammals), Several years after the KT-extinction incident (Cretaceous-Tertiary Extinction), the scientists believed nature to have triggered an exponential spread of different specimen of ant specimens all over the world. Ants play so many important roles. Some varieties of ants scatter seeds, some of the species in the tropics are crucial herbivores, a few are of importance in acting as insect predators. Their burrowing frequently enriches the soil and enhances growth of the plants. More or less the entire universe is occupied by the ants. Other than the Arctic, the Antarctica and a few islands, almost all the portions of land on the globe have, at the minimum, a variety of ants; which refuse encroachment of other species. For instance, in the Hawaiian islands, among the 50 ant species established there, not even one among them is understood to be a native of the archipelago. In the book of the Pulitzer-prize winning book, ‘The Ants’ researchers like Edward O. Wilson and Bert Holldobler made an estimation that there exists more than 10,000,000,000,000,000 separate ants living on earth at any time. The biggest ant discovered was really a fossilized variety of the Titanomyrma Giganteum, which measured 2.4 in in length with a wing spread of about 6 inches. 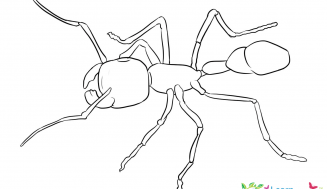 Even assuming T. Giganteum is extinct and several ants are not longer than a millimeter, varieties like the Dorylus Wilverthi and the African driver ants are longer than 2 in. In fact, you see 50 million ants crowd together as one weirdly organized super-organism (big, ant colonies organized on their own are in general called “super-organisms) it will certainly spike your imagination is make it look far larger than an ant of length 2 in. However, even a super organism of 50 million ants, is too small to appreciate the global manifestation of ants.. There can be no doubt about the volume of the biomass contributed by the ant species in the entire world. 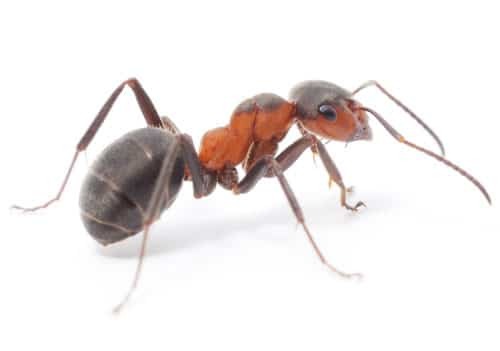 Scientists opine that ants contribute overall to about 15 to 20 % of the biomass of all the existing animals in the world, and in the tropics, which has a plentiful ant population, they can contribute up to 20 percent, or even more. The fungus growing ants amount to more that 200 identified types. 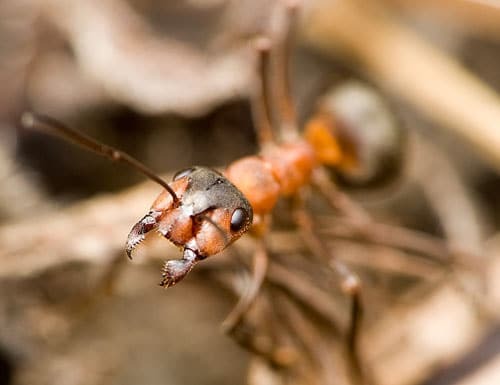 Scientists had earlier inferred that the fungus developed by these ants were passed on only within the species, but later research revealed that this fungus was shared also with alien species. The lack of cooperation among the species is probably the biggest stumbling block in the way of making a universal Ant kingdom – However, if, as in the case of the fungus growing ants, cooperation occurs, the day may not be far off when you can dream of a unified world ant kingdom. It is understood that several types of ants forcefully enter the adjacent colonies and rob larva or eggs as a form of “dulosis”(enslavement). These raided ants are either forced to become workers or consumed as food. The types that enforces slavery are simply called as “slave-making ants”, they believe that this is the best method of sustaining their colonies. Actually there are certain varieties that believe they are not in a position to forage for food on their own when the slave labor is absent. Predators are attacked by ants, They sacrifice their lives to safeguard their nests. A few of them are capable of stinging and even ant bite (even though the tiny ants are unable to harm the big animals). Several ants possess poisonous chemicals which they spray on their predators. In the animal kingdom, one ant species hold the record for the fastest moving. The harvester ant is the most venomous insect in the world. The brain case of the world’s largest ant can accommodate dozens of colonies of the worlds smallest ant. Ant fact 10. In a year, ants are estimated to turn over the soil of at least 50 tons per year in 1square mile. All queens, soldier and worker ants are from the female of the species. 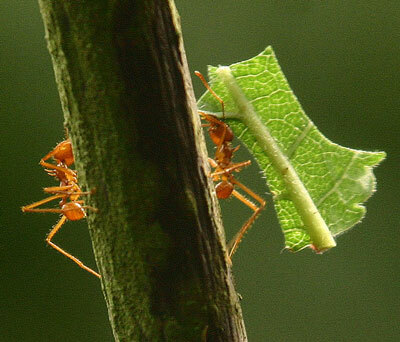 Ants use their two stomachs, one for feeding themselves, and the other for sharing the food with others. There are some ants that can swim. Ants are a delicacy in many parts of the world. There is no sting in the ordinary Black ant and in the Wood ants, even then it is possible for them to shoot a spray of formic acid. A few birds keep ants within their feathers to take advantage of their formic acid pray that keeps parasites from their feathers. The slave-maker ant (technically called Polyergus Rufescens) forcibly enters other nests and robs their pupae. After the stolen eggs are hatched, they are made to work as slaves in the colony. The worker ants retain the larvae and eggs in separate divisions in accordance with their age.